Appearing in your inbox every other week, TAKE5 gives you an update on the latest Meetings, Incentives and Business Travel related news. It contains short and to the point information on venues, people, happenings, lifestyle and general news that cannot wait to be told! BBT Online guarantees you 15 new ideas in just 3 minutes. Enjoy our 26th edition. Citytrip: how to find a nice restaurant! A company day with a charity plus! It has happened to all of us: you walk around a great city but are at loss to find a good restaurant or bar. A short Twitter message to Cityzapper.nl and you’ll get some results within a very short period of time during office hours and also during the weekends. If the formula becomes a success there are plans for a 24 hrs service. Cityzapper remains up to date by using airline crews and reporters in major cities. The database is growing as we speak! Company days are and should be fun. They can also be a contribution to the development of underprivileged children and give all participants that extra good feel. ‘Betrokken Bedrijfsuitje.nl’ in collaboration with ‘Terre des Hommes’ offers a wide choice of fun and original activities (tuk tuk rally, safari, tapas boat, etc). 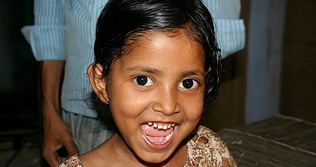 A simple principle: organizers get a 10% donation reduction with participating partners. The 10% reduction goes to a charity. We applaud the initiative! The Nyhuset Corporate Apartments (5 in total) have recently opened and are the very comfortable alternative for long-term staying visitors to Brussels. In need of more privacy than a hotel room, looking forward to cooking in your own fully equipped kitchen after a long day at the office or to relaxing in front of the LCD flat screen television and checking emails via the WIFI system…The Nyhuset luxury apartments offer all that and more. Guests can use the adjacent prestigious Dominican Hotel facilities as any other hotel guest including their Wellness Centre: gym, sauna & hammam. The location in the very heart of the city of Brussels with a view of La Monnaie Opera House, nearby hundreds of cafés, restaurants, shops and public transportation make the Nyhuset Corporate Apartments the perfect choice for the executives looking for privacy without having to bother about the service aspect! For the ultimate experience, the duplex penthouse offers a second floor living room with a walk-out roof terrace to allow one to savor breathtaking views of Brussels’ skyline. In days of crisis many companies watch their budgets and have problems with the asking price of professional meeting venues. Belvilla offers a selection of holiday homes in great surroundings. 75 villas in Holland, Belgium and Germany have been selected and grouped under the name Business Belvilla; they are capable of receiving business meetings and offer the added benefit of a holiday feel! 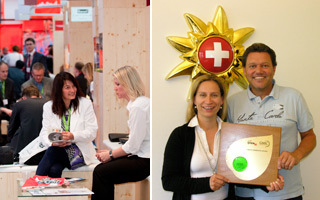 On May 27 at the closure of the IMEX show in Frankfurt, the Switzerland Convention & Incentive Bureau (SCIB) was honored with the "Green Exhibitor Award" for the exhibitor who handled in the most ecological way for its stand and presence at IMEX. It was mainly the initiatives to reduce the carbon footprint of the SCIB that the jury judged most important. Congratulations! 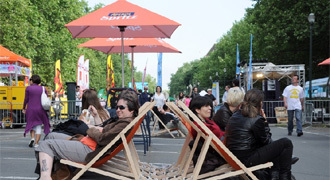 “Brussels - Apero Urbain”. The philosophy behind this event is to allow people to discover new places and especially to meet each other. One comes to have a drink, gaze at the park's flower beds, to dance, to party, to chitchat with the people sitting nearby... this is an occasion to make one's city smile. The people targeted to join this event is broad. One finds people from the local area but also work colleagues, families, young people as well as older ones. Children mix with trendsetters, the elderly with students. Philip Claeyssens of MindStream International is a much travelled individual who hails from the beautiful city of Ghent so, it goes without saying that his address book reflects his origins… Read about his favourite spots both in Belgium and outside. Zamen is a leading group of hospitality professionals in the greater The Hague (Netherlands) region, who are each reputable and attractive with a unique look, feel and taste of their own, but share the Zamen quality seal. The ‘WIJ’ and ‘Doen!’ beach clubs are obvious summer favourites for events by the sea. The Harbour Club, Madestein, Square, De Veiling, Binnen and Simpel are ready year round to accommodate your group and exclusive events and turn them into a memorable success. Other trendy beach clubs in the Netherlands, click here. House of Bols: cocktails galore! In the Museum Quarter of Amsterdam stands proudly the House of Bols. 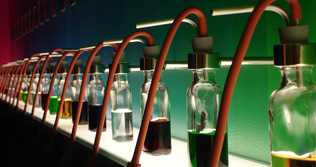 The famous Bols gin and liquors do not need further introduction; the House of Bols is a fun, interactive place. Discover spices, scents, designs that you did not know before, create your own cocktail and end the visit with…a Bols cocktail. Have you ever tried to juggle bottles, now is your chance..and for groups a special cocktail school session can be booked…fun guaranteed! 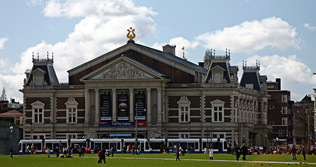 Enjoy a special guided tour at the Concertgebouw and discover the Concertgebouw from behind the scenes with anecdotes from the building’s rich and colourful history. There’s not a door that will remain closed. You will visit, among others, the soloist rooms, the artist lobby, tuning rooms, choir practice room, the switch room, attic, basement and of course both the small and large auditorium. The Cruise Hotel is the 254 room hotel on board Rotterdam’s very own hotel ship, SS Rotterdam. In its heyday between 1959 and 2000, the prestigious flagship of the Holland America Line sailed to many destinations all over the world. Today, the beautifully renovated ship has a permanent berth at the Kop van Katendrecht in the centre of Rotterdam. The authentic atmosphere is tangible among the specially commissioned artworks and gracious style of the 1950s. SS Rotterdam has lots for you to do and experience: visit the Lido, the Club Room, take part in a tour, visit the museum, attend a performance in the theatre or organise your meeting, congress or event (different tours are possible) here. On board you will find many amenities and services under one roof. For ten people or over a thousand. Anne Schelfhof, Managing Director of Tellus - Incentive & Travel Company, together with 3 other Belgian Incentive Houses (@dmire, De Buck Incentives & Preference) and BBT Online, took part in the inaugural trip of the Maharajas Express, a super duper deluxe train travelling around India. Just reading her report makes you want to break out the champagne and book a ticket for India. Enjoy the trip! Click here for a luxury discovery of India. 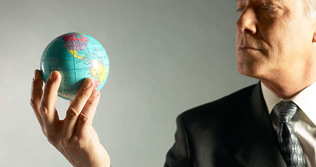 The International Event Guide, an international directory for the meeting, incentive, conference and event industry, is offering almost 15,000 profiles of MICE suppliers in 50 different categories and in 125 countries without intermediaries: a handy tool for all organizers and a handy website that can be accessed by all. Event 1001 can help you with the entire organization of your event: venues, decoration, furnishings transport, technology, logistics, catering, florist, traffic, local activities and many other options. And at any desired location. When staying at a hotel, regardless of the destination or the number of stars, it pays to be a considerate guest, which in turn will go far to ensuring a more enjoyable stay. 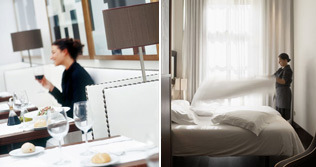 Hotels.com, the hotel experts, has compiled a list of top tips on great hotel etiquette to help travellers on their ay. 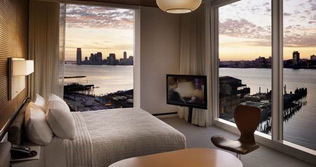 Hotels.com Top 10 hotel etiquette tips. Click here. PATA has established an independent committee to vet applications from Buyers seeking subsided registration and attendance at the Association’s 2010 Travel Mart in Macau SAR on 14-17 September. The committee comprises representatives from well-established Seller companies and organizations familiar with the main purpose and benefits of the PATA Travel Mart. The new committee reflects the need for an all essential and important quality control. PATA Travel Mart 2010 in Macau brings back the primary focus of the Mart. When will EIBTM and IMEX also start to screen more seriously their Hosted Buyers? We still see too many freeloaders strolling around on these fairs, shopping around. Although the news has not been that good lately, BBT Online, as every year, organizes a hosted buyer trip to the ITCMA 2010 show in Bangkok, October 5-7, 2010, www.itcma.com/. Are you a corporate travel buyer or an event organizer, do not hesitate to send us your interest at info@bbtonline.eu, we will confirm your participation as soon as possible. Whatever has happened, Bangkok will remain a gateway and important destination and the ITCMA show is the perfect discovery platform. 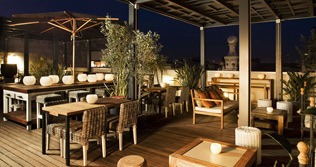 The hotel Pulitzer has the best location in the city: the small Bergera street opens on to Plaza Catalunya which is the nerve centre of Barcelona. Pulitzer is a 4-stars boutique hotel, which is luminous and has an atmosphere which radiates freshness and a certain cosmopolitan cool. It’s interior design has been highlighted by a multitude of prestigious magazines from the design world; the hotel has been voted best Luxury Hotel two years running by Tripadvisor but remains a value for money solution for your next trip to Barcelona. 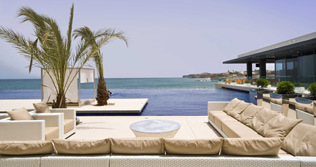 The first 4-star international hotel opened its doors in Dakar since 1991, the 180 bedroom Radisson Blu Dakar is ideally located on the edge of the Atlantic Ocean near the magnificent villa’s and embassies in the heart of a completely new complex that houses boutiques and a wellness centre of 1500 m². The opening of this hotel is an impotant step in the expansion policy of the group on the African continent as Dakar is an important city in the economic traffic between Europe and Africa. Next to important leisure facilities the hotel also offers 7 modular meeting rooms for events up to 300 people. The objects you discard – from drinks bottles to old equipment – can help to build or rejuvenate your team! ReSounds! – the new team-bonding workshop by Promoevents – challenges participants to create musical instruments from trash…and play them. Participants – who may bring cast-off objects from home, office or factory – discover how restricted resources can inspire outstanding teamwork. And they prove it by closing the workshop with a rousing performance of Recycle Rock! 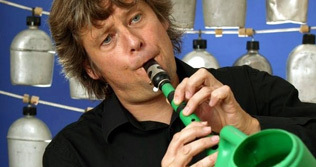 This workshop – no musical experience required – is led by Max Vandervorst, the musician renowned for transforming junk into amazing instruments and sounds. The Malta Tourism Authority Benelux in collaboration with Air Malta introduces a reward scheme for Benelux meeting & incentive houses to show their appreciation for their loyalty towards the destination. 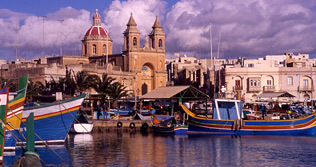 Meeting & incentive groups booked between January and December 2010 will be included in the scheme and the Top 9 producing agencies will be rewarded with a private holiday to Malta in 2011. 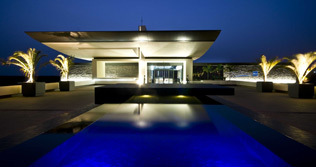 The winners will be announced during the beginning of 2011, during a private dinner ceremony. A 3-night stay for 2 persons will be offered by the major 5-star hotels, which are participating in this initiative. • MPI’s summer networking event, 28th of June. Registration, click here. • The world famous Flower Carpet can again be admired in all its glory on August 13, 14 and 15 on the Brussels Grand’ Place. This year the theme is honoring the Belgian Presidency of the EU. • MCI announced at IMEX that two leading PCO companies will be joining the Group: Eurocongress International from The Netherlands and Event Planners Australia. • Address Change! As from June 28th, Atout France moves to avenue Louise, 222 (8th floor), 1050 Brussels. All telephone numbers and email addresses remain unchanged. • The Hague has won the yearly Dutch ‘Event City of the Year Award’. • The Berlin Convention Office (BCO) of Berlin Tourismus Marketing GmbH has published its new 150-page Meeting Guide. Copies can be obtained, click here. • Shortly available: www.smallzoute.be the people portal for and about Knokke Zoute, the place to be! • Event location, de Uithof in The Hague with 230 employees was declared bankrupt on June 1st. • Take your courage in your hands and leap from the top of the Atomium on the Death Ride. An exhilarating descent of over 100 metres is open to all whatever the weather. Full professional guidance and safety equipment is provided and with no booking required guests can leave their decision until the last minute. • For a fresh Dutch view on Holland, click here. • Two Holiday Inn hotels in Chicago and Houston have started a trial program of 3 months to use smart phones as room keys enabling hotel guests to go straight to their rooms without checking in at reception. • Both the Royal Windsor Hotel and the Warwick Barsey in Brussels offer very advantageous summer rates (up to 50% discount!!) in July & August. • Why not take a cooking holiday with Flemish TV chefs Piet Huysentruyt and Peter van Asbroeck in Saida, Morocco. Dates September 24 till October 1. Organized by Kookeiland & Neckermann. • Bruges becomes the 6th destination for ETAP Hotels in Belgium. Etap Hotel Brugge Centrum has 184 rooms and will be the flagship for Belgium. • Novotel Amsterdam City reopened after a complete refurbishment and with an added & brand new convention center of 1385m². • Dolce announces the opening of its 6th property in Europe with 255 rooms in the Munich surroundings: the Dolce Munich Unterschleissheim. • Due to continuous high loads in Premiere Class, Jet Airways’ business class, the carrier is opening its second lounge, the Amber lounge at Brussels Airport. • Hainan Airlines now flies 3x per week from Brussels to Shanghai on Mondays, Wednesdays and Fridays in code sharing with Brussels Airlines. • As a result of the Icelandic Volcano problem, the EASA (the European Air Safety Association) has decided to issue a new security coding hoping to avoid the long closure of airspace as was the case in April. http://easa.europa.eu . • BAPCO elected a new board on June 21st: Anne De Smet, Momentum is the new president. She will be assisted by Idoia Rodes, MCI as Vice-President, Isabelle Deniaud, MCI as Secretary and Nicolas Le Brun, Destree Organisation as Treasurer. • A friend returns: This week Yannick Busaan took up his new job as GM for Square in Brussels. • Joint Meetings Industry Council (JMIC) President Leigh Harry has announced the winner of the 2010 JMIC Unity Award as Mr. Christian Mutschlechner, Director of the Vienna Convention Bureau and past President of both ICCA and the European Federation of Conference Towns. • Geertrui Jacobs, ex-Duval Guillaume, was recently appointed manager for Toerisme Vlaanderen in New York. • Rob Franklin OBE, Executive Director of the Brussels based European Travel Commission, has announced his departure from the organisation effective 30th June 2010. • Karin and Friends, Just wanted to put in writing what's been in my mind for a long time. Your communication pieces are amazing and we shamelessly admit to trying, month by month, to be as good as you guys with the various Ovation pieces - you are setting the bar very high for digital communication in our industry. Your ezines are easy to access, lively, informative and engaging. • Kempinski Bruges organized a contest in its recent newsletter produced by BBT Online. The lucky winner of the weekend in a luxury room for 2 in Bruges is Mr Lolonis Panagiotis - Sappi Fine Paper Europe! • Laughing is good for you! In every Take5 edition we publish a small funny video from YouTube. This time: A classic, but definitely good enough to watch again. Click here.